Energy drinks are part of the daily landscape in Thailand. Convenience stores always dedicate several fridge shelves to those tiny bottles. Do they really work? That might depend on which brand, but mostly that will depend on you. If like me you are an Italian espresso drinker, that might just give you a mild boost, for some it’s an all night long kerosene. So if you don’t know these tiny bottles, you might want to memorize some of the names! ‘Energy Drinks’ are used as mixers and/or party through the whole night, while ‘Hangover Drinks’ to make the day after less miserable, better safe than sorry! Very sweet, they are often used as mixer with whatever alcohol you can find. 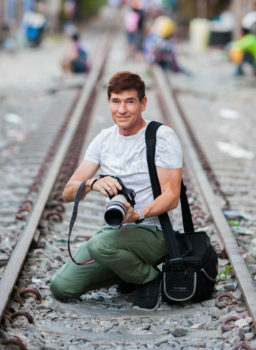 One of the best known use of these drinks as mixers is the ‘Thai Bucket’, which is actually a small plastic bucket where energy drink is mixed with cheap Thai alcohol such as Sang Som or Mekhong, a recipe for major hangover, sometimes accompanied with temporary memory loss (sounds like a well known movie doesn’t it?). But fear not! Someone came with the answer to your problem you won’t have to buy expensive alcohol, you just have to get yourself a ‘Hang’! These are supposed to prevent or/and cure your hangover. From what I understood, have a ‘Hang Foreplay’ before going to party wild in Patong, a ‘Hang Original’ or ‘Hang Virgin’ during party and another the day after. You can also buy ‘Wakie’ pills, supposedly helping the same way. So to be honest, I do drink those, but I wouldn’t bet my life on their real effectiveness, all I know is: 1) They are part of our pre-party routine, 2) Whatever helps will be welcome! Depending where you are from, you probably already know ‘Red Bull’ but not necessarily in its concentrated form. If you are from Japan, you will recognize Lipovitan-D. Most popular in Thailand after Red Bull is probably M-150. 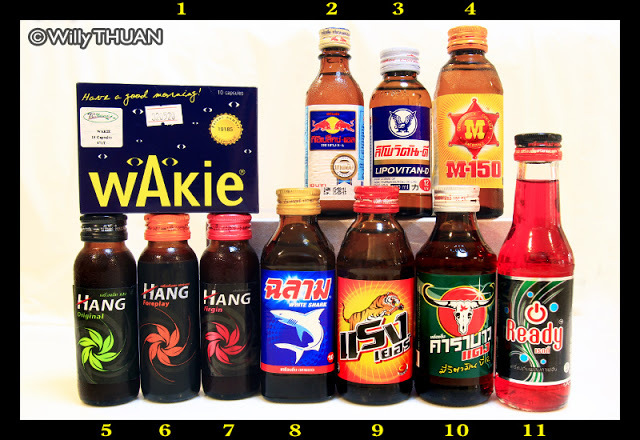 All these small bottles can be found in any convenience stores for more or less 15 baht, but I noticed that Family Mart and 7-11 around Bangla road were often running out of stock… I guess marketing has been successful!